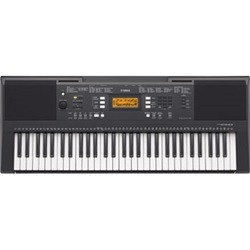 The Yamaha PSR-E263 portable digital keyboard is packed full of great sounds and features, ideal for aspiring musicians who are just starting out. 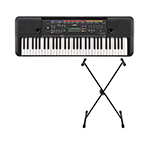 Use the on-board lesson feature, Yamaha Education Suite (Y.E.S. 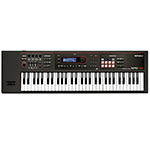 ), to learn the 100 built-in songs, or explore the 400 instrument Voices and 130 Styles to create your own music.